We will be performing in 600 Seconds at The Blue Room Theatre as part of their Summer Nights programme. 600 Seconds presents a series of new performance pieces. 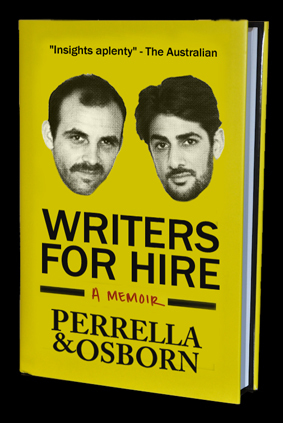 We will be giving a reading from Writers for Hire, our long awaited memoirs. Come along to hear anecdotes from Chapter 1 and to see some of the lavish full colour images it includes. We’re pleased to finally have the chance to set the record straight on how our love of horses led to us being hailed Best New Talent at the 1984 TV Week Logies, and the reasons behind our subsequent decision to flee the country aboard a budget cruise-liner. We appear on Tuesday 29th Jan & Thursday 31st Jan. Booking details here. 600 Seconds is presented as part of Fringe World 2013.